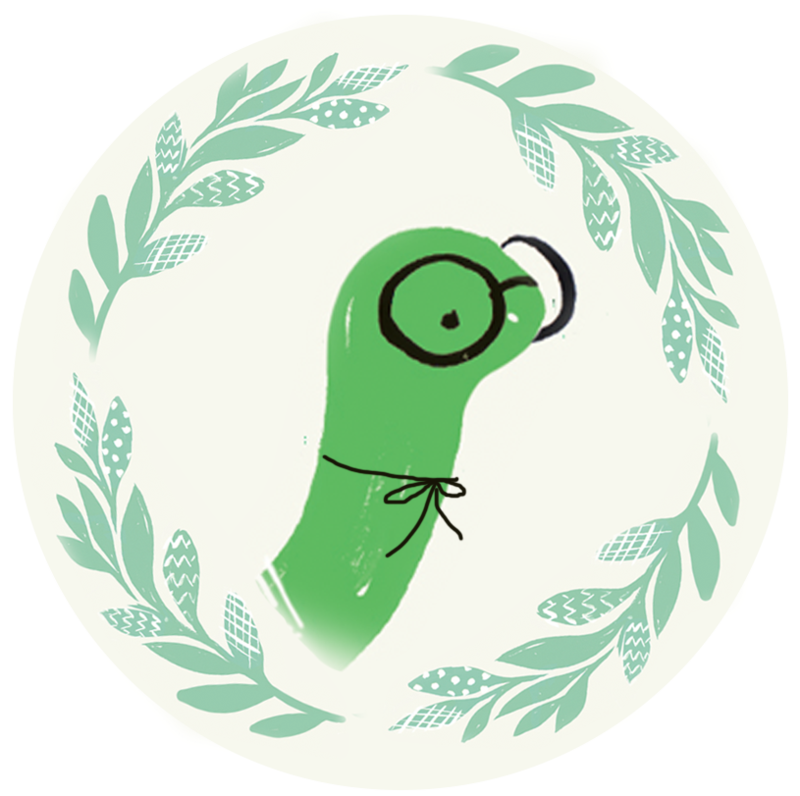 Fabricworm has just celebrated our 2 year anniversary! It's been a long road to get here. But we've managed and business is better than ever. Thanks to our loyal fans and following, we've managed to accomplish a lot in these 2 short years. 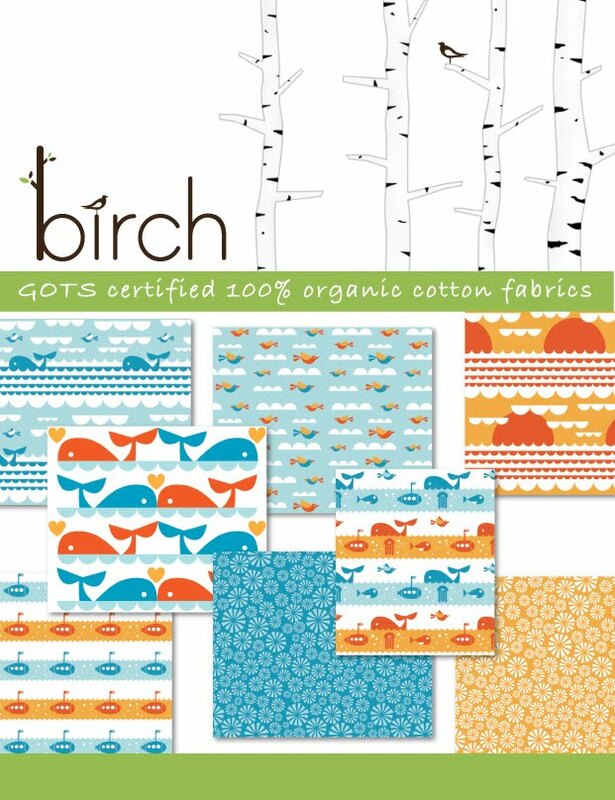 This year we saw the launch of our very own fabric line, a 100% organic line of quilting cottons under our Birch Fabrics label, Circa 50 designed by Jennifer Moore of Monaluna This was a huge accomplishment for so many reasons. 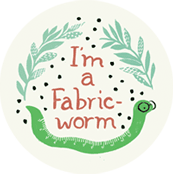 When I started Fabricworm, the first question out of my mouth with every new Fabric Rep that I met was, "Are they offering any printed organic cottons"? Again and again, I got the exact same response. I was so frustrated. It seemed that the manufacturers just haven't been able to understand not only the demand, but more importantly the impact that offering organic cottons could have on our eco system. With roughly 25% of all pesticides used in agriculture, being used on cotton fields, it seems logical that a shift is clearly needed in how we grow our cotton. Or else? I don't know about everyone else, but I'd like my future grandchildren to meet their future grandchildren. At the rate we are chemically poisoning our agriculture, it's not clear as to whether or not that is possible. I encourage everyone to contact their favorite quilting cotton manufacturers, and tell them that you want to see more organic options! Surely if they existed, we at Fabricworm would buy them! What's on the horizon for Fabricworm? So, Thanks for listening, enough babble. 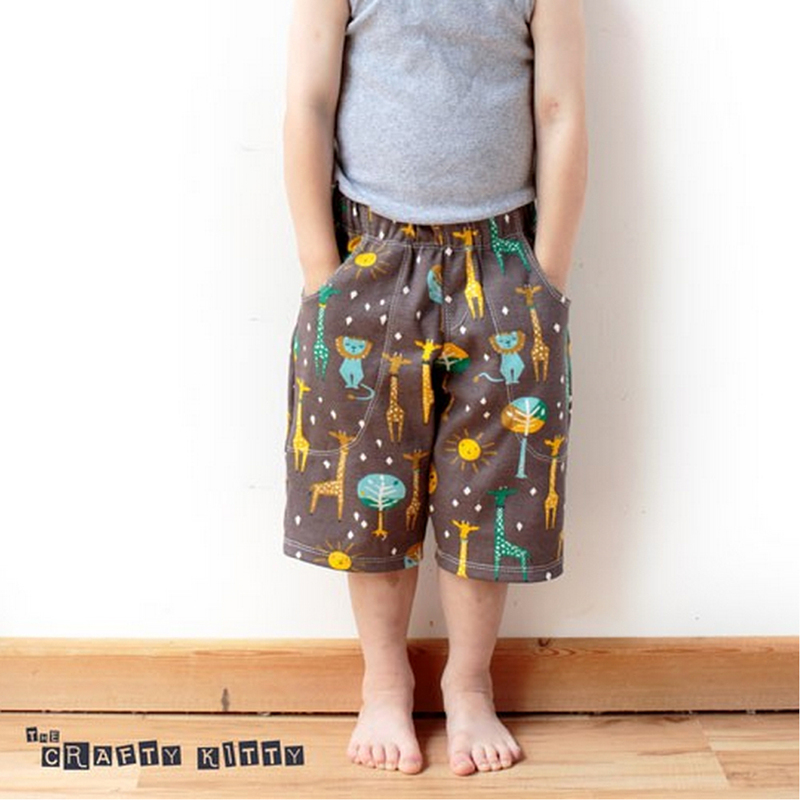 For the giveaway we are offering the complete collection of Early Bird by Cosmo Cricket in fat quarters, 12 in total. But we need your help! 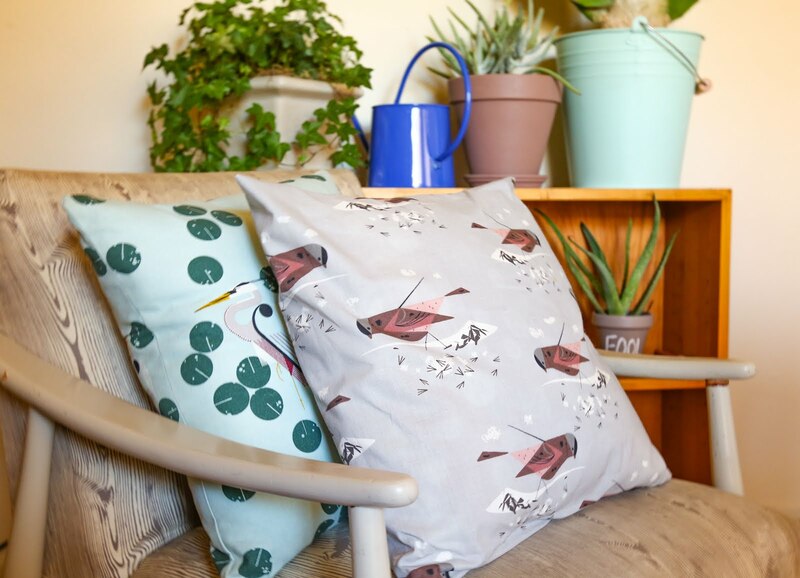 We are going to be working on a redesign of the website so to enter, please tell us how we can make Fabricworm a more enjoyable shopping experience. What would you like to see in our store? What do you wish we would change about our site? 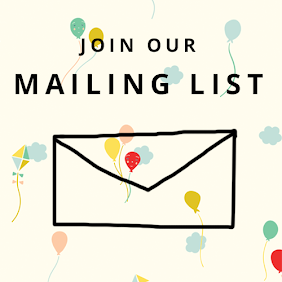 Whatever comes to mind, your input if so important to us! Please only 1 entry per person. The Random Generator will choose a winner on Monday June 28th @ 9am PST. So please have your entry in by then. 1. We've now made it so that you can see that a fabric is out of stock before clicking on it. 2. We have a "view all" section for the fabrics, this actually already existed, but for those that didn't notice it. 4. 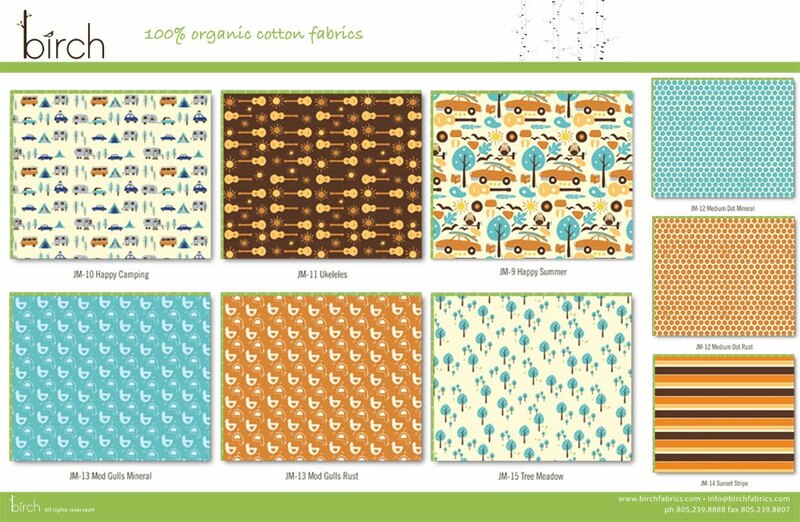 Some of you have probably already noticed this, but we have added a section for Fat Quarters, so that's sorta' new. 5. We unfortunately have a really hard time with the measurement issue, because we use stock photos from the manufacturers and they often don't have a measuring tape, and because they don't use a set size for each picture, to put a ruler with the photo would mean editing of every single fabric, I'm afraid we haven't been able to find the time to do this, but maybe in the future we will find a way. 6. Oh and we now made it so that the pattern section is "view all". So no more multiple pages to click through. 7. I know there is something else, but I can't think of it. Maybe I will remember later. Thanks and keep on posting! I love your fabric stacks and would like to see more of them. Are there plans to repeat sets from some of the previous months of the oh fransson patterns like the new wave quilt stacks. I would also love to see fabric stacks that did some combining of solids with patterns, as I always struggle trying to coordinate these two. Very nice site of your shop. I love all the fabrics. You can never get the same assortiment in Russian shops. So I am in turn for candy. Thanks for the chance to win it. I would love to see more FQs! Congrats! I'd love to see more fabric stacks ! Thanks! Wow awesome 2years. I have bought several times, but from the Etsy store. I think if you had more smaller variety in your online Fabricworm, say charm packs and smaller fat quarter bundles that would be better as well. Love your site but if I had to suggest something, it would be to give an idea as to the scale of the prints, either by showing them with a ruler on the side, or at least in the description (eg: largest flower is 4 inches tall). I have bought fabrics online & received them to find the size of the print was totally unexpected & inappropriate for the use I had in mind. Also, I find a color matcher useful, as sometimes I look for a coordinate not necessarily from the same line. Keep up with the good work of your push for more organics. I don't know - the categories are great and there's so much selection. Maybe Moda solids? I didn't see any when viewing Moda products. Relatively new to Fabricworm, but have been so pleased with my purchases. Would love to see a "make your own bundle" option. I know prices would range depending on fabric. I, too, would love to see more fat quarter bundles! I'd vote for more fat quarters also! And I have to say as far as the site goes...I really like the white, uncluttered look of it. Oh gosh, I don't know how you can change perfection! ;-) If anything, there are times when the pictures of the fabrics that I am looking for don't come up, just the title of the print. Once I hit the title it then comes up on the individual page so maybe I would change that. That's all I can think of. Love your store and LOVE the fabric lines. Keep up the awesome work and thank you for the chance to win!! I'm fairly new to on line fabric shopping but catching on fast! I love your shop and your blog. Hmmmm.... what would make it better? Maybe a blurb telling what solid would go good with the prints? I usually order my prints and them match them up to my kona color card. Are you kidding? I LOVE your shop!!! I love the combos you put together and your taste in fabrics are awesome. I hope to visit your store the next time I visit my son in Paso. ps...this Early Bird line is beautiful...a must have for me since I have the scrapbooking papers to go with!!! I love that I am able to see all fabrics of one collection or even all fabrics on one site. I love scrolling and I get annoyed when I have to click to get to the next page with more fabric on it. What I do not like is however that I can get fabric only in half yard cuts. I tend to buy a lot more when I can buy in quarter steps. But then again, that is so much more cutting to do and you might find that is too work. And maybe you could add a description as to how big the print displayed is. Buying fabric only is tough but when I can't see the dimension it is even more difficult. And finally: please don't get rid of display of fabric in circles. I love that! Awesome giveaway! I would love to see more packs/bundles. well done! 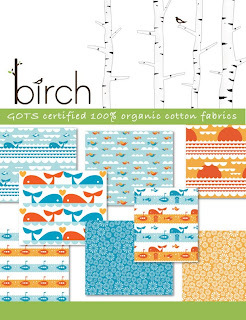 I love your shop and can't wait to get my hands on the new Birch collections. My only suggestion to the website would be the fabric photos to show a bigger swatch. Sometimes it's hard to really see the fabric and pattern. Thanks for the giveaway, will keep my fingers crossed! I would love to be able to search by color. Sometimes I don't know what I am looking for, but I know what it has to match up with. Thanks for a great fabric site! FQ's and as others suggested, recommended solid pairings! I love Fabricworm! Congrats on 2 years! A couple of suggestions: when clicking "View Cart" it would be great if it popped up in a new window. And I agree with FQs. There has been a few times when I've wanted something but didn't want a 1/2 yard... and so I've shopped at Sew Mama Sew instead. I'd rather give you business! I was just looking at this set yesterday--love it! I actually think your interface is pretty good compared to most other fabric shops. I like that I can easily choose to shop by designer, collection, etc. And I LOVE the FQ bundles. I love your shop, but I would much prefer to see the price for the yard and be able to put in .5 for a 1/2 yard than see the 1/2 yard price and need to put in 2 for 1 yard. I find it confusing and hard to keep track. But perhaps that's just me. I'd also echo more FQs -- ideally as singles or pairs. COngrats on your anniversary. Fabricworm is such a great shop! I agree with another commenter. I would love to see some more bundles offered. I really adore the non-typical pairings you have offered in the past. I am not so great at pairing fabrics so I love seeing the bundles. Thanks for doing such an awesome job! I love the Circa 50 line, and I can't wait to get some of the Circa 60! I think one thing I would appreciate on your site is larger, square images of the fabrics, instead of the circles. that's a minor thing, though. It works well. Congratulations on 2 years!!! I would love to see a new feature that allows you to add multiple items to your shopping cart without leaving the page, for example, have a space below each fabric that let's people enter the amount they want, after they are done entering for all the items shown on the page, they click a button that adds all of them to the cart. Thanks for the giveaway! I love the option in your etsy shop to buy sets. You do an amazing job matching fabrics that aren't necessarily from the same collection or even designer/manufacturer. I have a hard time matching colors online, so having them already matched by you definitely helps. So my suggestion is more sets for your main site (although I'll still always hit your etsy site for these ideas too). I'd love a design wall feature and a wish list feature. THanks for the chance...love the baby quilt set.the inspiration they give too! I love your site. Your fabric is great and I like the bundles that you put together. I would love if you could make it so that the shopping cart is a little easier to work with. If I add something, I don't automatically get a window showing me what's in my cart, and it would be very helpful when I'm buying more than one fabric to see what I've already put in my cart. Love your shop! I would like to see the swatches of fabric larger and a ruler to show scale. lovely giveaway! I would love to see more of each fabric as it is sometimes hard to get "the big picture" from the smaller picures. I would love to see more of how the fabrics translate into finished products. Thanks for the great giveaway! Thanks for the giveaway. I love your selection of fabrics. A better swatch and reference of size would be helpful. Also, I find the search function doesn't work too well - maybe filtering your search so that it only results in single fabric offerings instead of the fabric collections that you put together, or links to all striped fabric, all dots, etc. Yay for 2 years! Congratulations! I'd love to be able to see if an item is sold out without clicking it. And it would be great if the number of yards available can be viewed along with the price. Thanks for the chance! Love your website, but I would like a "view all" feature to be available. Happy Anniversary! I think you have a great online store. I love the worm photo, too. The only change I would make is to list prices by the yard instead of half yard. hi cynthia et al! i am excited about the marine line coming out later this year...congrats on the fabric lines and on the 2yr anniversary! for the new website, it would be great if you could have a sort of "design wall" where one could look at the fabric swatches in their cart lined up together somehow. also, it would be great if there were larger swatch previews available, perhaps with an option to see a larger piece of the fabric? 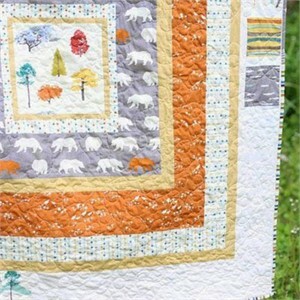 oh, and i love that you have added fat quarter bundles as an option!! Love your store! Maybe the ability to make all of the pictures bigger to get a closer look at the fabric and sizing or scale. maybe i am the only one in the universe who prefers price shown per yard...but that is my only suggestion...Id love to see a bigger swatch of the fabric too!! thanks for a chance. Love the site and the fabrics! I think having a tagging system for the fabrics would make searching easier. I'd love to be able to search by color, stripes, polkadot, boys, girls, nature, light, dark, etc. Congrats on two great years! Congrats on 2 years - your site remains at the top of my list for unique and thoughtful purchase. Two things: 1) I like to see prices by the yard, not half yard. Just a personal preference. 2) I really like your mix of designer bundles. I always feel like I'm cheating when I use just one collection, but sometimes I have hard time pulling different things together. I've bought one of these mixes before and it is by far my favorite bundle! I also would love to see more fabric bundles, and even possibly the option to offer a custom pack (pick your own fat quarters). I also inquired about this a while back, but similar to the latest Oh Fransson bundle, I'd love to see a ROYGBV bundle for all those rainbow-inspired quilts! I'd love to see more fabric stacks and some way to know that a fabric is out of stock earlier on in the buying process. Congratulations! I would love to see some bundles too, love to get a little bit of everything to droll over! Awesome give away, thank you! Fabricworm has become my go to shop for fabric bundles. You have a very nice assortment. I do love how you have recently divided out the categories (FQ, 1/2 yard, scraps) too. 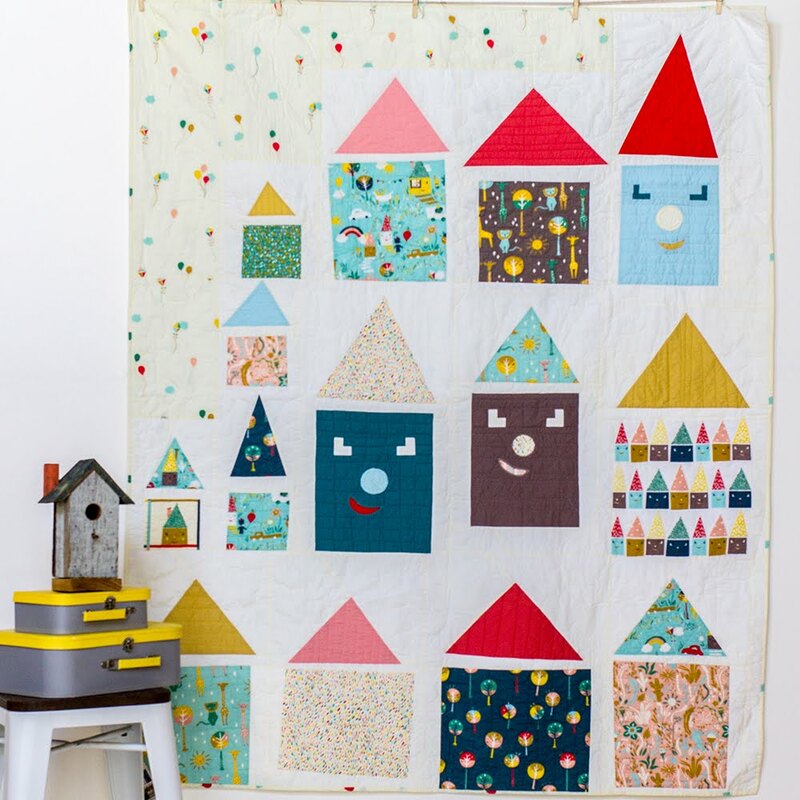 I also love how you work with Oh Frasson to incorporate her patterns with FQ bundles. Sometimes it is very hard to match fabrics online; however, you guys do all the hard work for us by putting together such great bundles! Keep up the good work. I love the light (white) color. Makes it easy to read, but would like to see you put ads on both sides and not just one. I have to scroll all the way down to see anything. I am new to FabricWorm as well. The only thing I wish was different about your site is when things are out of stock, that it is indicated prior to clicking on the fabric desciption. That or the fabric is just not listed anymore. I like your site - it's clean and easy to look at. I think you could let go of your blinking graphics. It's destracting and for people who slow internet connections it could cause your page to load slower. Thanks for the give away! Aesthetically, your shop is pretty awesome! However, I would like to see a better clarification of if things were out of stock or not. And pricing by the half yard is EXTREMELY confusing, can you switch to per-yard pricing, maybe? I love your bundles -- you're so good at putting fabrics together -- but I wish it were easier to see what the different designs are in your online listings. It'd be nice to see a full swatch, instead of just the little bit of the fabric that's visible when it's all piled up. Congratulations on your 2nd Anniversary. You really have a delightful store and I like the layout. Maybe Kona Cottons/solids. I'm partial to Kona Cotton white for so many quilts. Fabric stacks, thanks for the give away. I'd like to be able to view the fabrics better...something a little larger. I love how everything is divided into the different categories. It makes finding what I want so easy. I would love to see more inspiration. Project ideas. I would also love to see solids and patterns combined, whether it just be an inspiration page or to be sold as a fat quarter bundle or something. 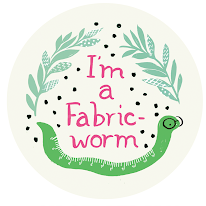 I love FabricWorm. Thank you! I love your fabric and your website. It's really easy to navigate - can't think of much to improve it. 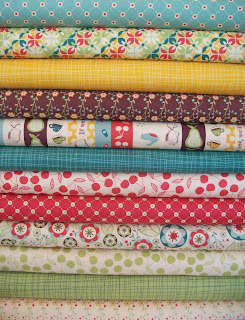 Love your fabric stacks and more solids that coordinate would be great. My suggestion is to change how the thumbnail views of the fabrics are seen. It seems that the circle cuts off a good portion of the print. Another suggestion would be add a digital "design board" with the shopping cart so that fabrics could be added and looked at next to one another. COngratulations! I'd love to see more fabric bundles and a drawing board where you can compare fabric. I really love the designers you carry and I almost never have a problem with finding a focus print. I think it would be helpful for me if you carried more bundles. I love the fabrics you put together since I have trouble finding coord online. I also really love when you include Oh Fransson bundles and I think that should continue. Let's see. I get a little disappointed when I click on a fabric link, only to see that it is out of stock. I'm not sure if they are coming back or not. So I guess I would like items that can't be purchased to not be shown. If you are leaving them up because you are expecting another shipment, maybe that could be noted in the listing. That's just my humble opinion though! Happy 2 years! I love both your stores, but tend to shop on your Etsy one because of the AMAZING customer service-- you guys are quick to respond and so very helpful. If you could have some sort of "need help, speak to us live" feature (which is probably asking for too much?!) on your other website, that would help, but that is really all that I can think of because I think both sites are great! Love your selection of stacks! Maybe a way to look at fabrics by color? The shop is great and always fun to browse through. I'd love to see more mismatched fat quater/half yard packages with fabrics from different collections. I love your shop - you always have such a great selection! I know I can find what I'm looking for. The main thing that I would LOVE to see is larger view of the fabric. I like the look of the circles on your site, but perhaps you could be able to click on them to see the fabric in its entirety. A ruler or some indication of scale would be great! I was just searching around your site yesterday. You have a great site. I love that yall offer bundles by designer of the fabric lines...so the only thing i can think of is keep bundling. I love when i see others putting together bundles what they come up with. On etsy you see a lot of different designers together. I would love to see more fat quarter bundles, but love your site. I like that when I click the back button, it takes me back to where I left off on the page, instead of shooting me back to the beginning. Also like the speed of the zoom photos. I love your fat quarter sets, and I'd love to see more fat quarter bundles with fabrics from different lines. The only thing I have noticed is that I might find that perfect fabric and click on it and then it says - Out Of Stock! Ouch! Maybe just take it down so it doesn't tempt me?! But otherwise, love the site and the fabrics you sell!! Such a great site already but more custom stacks and definitely more solids. Happy 2nd Anniversary! I would like to see your fabric collections listed in perhaps an alphabetical order, or by theme, or season. Thanks so much for offering such an awesome giveaway! I'd like to see a wider selection of solids - I use quite a lot of them. Great giveaway! I would love to see more Fat quarters! I love your site and your variety of fabric is astounding. I can find all the fabric I need in one spot. Improvements? Possibly offer interfacing as well, this way people don't have to get it from somewhere else. I also agree with one comment about fabric matching - perhaps categories of different colors throughout all collections. Other than that, I LOVE your site, your variety and everything I have received. I think it would be great to have tutorials on what to make with the fabulous fabric that you offer. Or just have little sewing tips weekly. It might be cool to have some sort of program to arrange different fabrics together, so when buying you can see how things match together. Also I love the bundles that you put together. I love your site, there is so much to browse! One thought though - would it be possible to include a thumbnail picture of a representative print from each collection on the 'Fabric By Collection' page? There are so many brilliant collections nowadays that sometimes I don't remember which one is in my mind and have to click on several before I find it. Of course that means I remember a whole load of *other* fabrics that I also want! So maybe you're onto a winner to keep it as it is! Thanks for the great give-away and congrats on your success! I love to search by colour and by coordinating fabrics. You've got a great webstore. As many other commenters, I'd like to see more FQ or 1/2 yd bundles of a mixture of fabrics (not necessarily from the same collection). Buying fabric online is difficult to match or examine color due to monitor, light conditions while photographing etc. Searching by colour schemes might also be helpful. Congratulations on your 2 year anniversary! I love your fabric bundles and think their a great idea. It's difficult to know how colours and prints will go together when you buy on line. 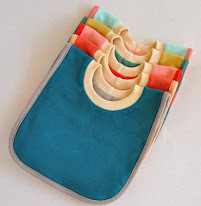 I personally would love to see scrap bags they are brillant for small projects and are another good way of getting lots of prints to see what they are like. I love your shop - it's a treasure trove for us fabric-starved Brits! A colour selector would be a great addition! I love the site.... Right off to pick some more! but that said i don't think you need to change too much as you have the best selection of fabric around! First of all, I think it is fine the way it is. But, I do run into out of stock a lot. Also, I think showing everything by the yard and allowing people to put in 1/2 yard quantity would be less confusing. The fabric stacks featured on etsy are easier to look at/gauge the way a fabric is truly going to look in person. Congratulations on your two year anniversary. I think if there were co-ordinating fabrics shown with each fabric it would be good, maybe ones form other designers. It's not always easy to judge colour on a computer screen. It would be nice if we had the possibility to make custom FQ bundles ! My only suggestion would be to change the fabric listings so that when you are out of stock, the image of the particular fabric would be removed. Or, if you are expecting a shipment of more of that fabric, maybe a message saying that you are "temporarily" out of stock so that I know to check back. i work in tech and my first thought would be to update the look/feel of your website. it looks very 'dated' to me. from a buyer perspective - offering solids and a way to "match" fabrics if needed. I would love to see more fat quarter sets. Also, maybe some coordinating solids included in some of your 1/2 yard sets. Congratulations of 2 years! You're my favorite store to buy fabric from! Great job with the organic fabrics. Would it be possible to show only the fabrics you do have in stock. Second...I would like to see more fat quarter sets. Smaller sets, like 4 or 5, not the entire collections. I lurrvve the new cosmo cricket line! In your redesign please indicate the scale of the fabric--maybe a ruler next to each swatch. I'd love for there to be a ruler or something on the photos of the fabric to get an idea of the size of a pattern. Congrats on 2 years! Have ordered from your website and etsy store several times and always get my fabric quickly. Congrats on 2 years!!! 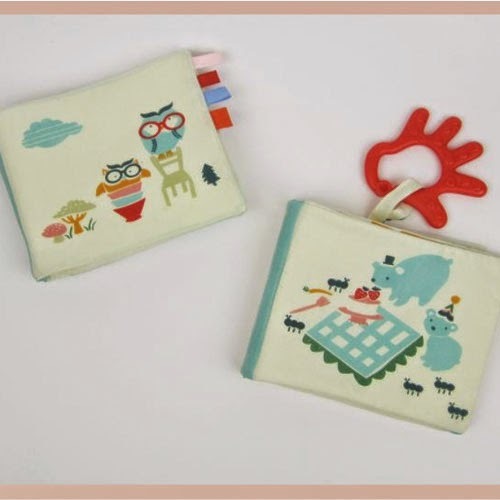 I would like to see more fat quarter bundles like the veggies one from Oh Fransson. I would love to see solids incorporated into your stacks. Sometimes I see a stack and I have a hard time matching the solids to the prints since it is all online. That's the only improvement I can think of... I love Fabricworm! First of all, I love that you have a way to search for children's fabrics! The only recommendation I can think of would be to add some type of search by color and/or a color matcher. I don't usually buy an entire line of fabrics, and when I buy online I'm usually looking for certain colors to add to a project. A "search by color" feature would make it easier for me to find what I was looking for! Congrats on the anniversary and I wish you many happy and successful years to come! Congratulations Cynthia - so proud of you! 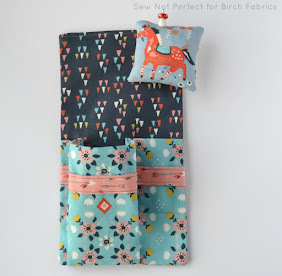 I would love to see if fabric is out of stock on the main viewing page before I click on the swatch to order - just to save time and disappointment when I go to order a fabric only to find it is out of stock...I do love seeing all the fabric you have stocked previously though - great eye candy! lots of great ideas already, but def. think that knowing whether the fabric is out of stock before clicking would save the disappointment. Also wish, that after you added to cart, and said return to shopping it took you back to where you were. Congrats and great job!! I love bundles, not always just by one designer but co-ordinating colors, designs! Congratulations on the anniversary! I'd love to see more FQ bundles too! Just so you know I love your site and only recently have found it. I don't even know if this is possible but older line of some fabrics would be nice. And something to scale against weather it be a quarter or a measuring tape. That would be nice. I'm looking forward to your new lines of fabric coming out. Larger thumbnails for easier browsing and more solids to match with the prints would be super. You must know I love your shop Cynthia, I order from you often enough :) ha ha don't change a thing, you always have a great selection of interesting things and the best new lines. 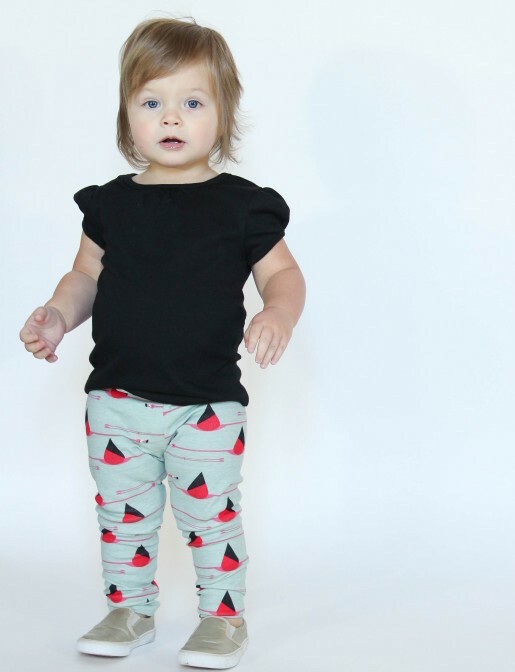 Maybe some solids would be good - Kona cottons? And maybe the ability to pre-order fabrics too so I don't have to panic they'll be gone when I get there? I love your shop! I think offering some sort of color matching program would be fantastic. Adding some coordinating Kona cotton solids to fabric sets would be pretty great too. It's a great website! I would change the website to have out-of-stock prints not show up differently when you search vs. when you browse (relative to whether the images show up or not). If the out-of-stock prints are kept on the website, is there a way to indicate if they've been reordered, or just haven't been deleted from the database? If they're not reordered, at what point are they removed? Also, I like fabric stores where you can easily find prints in similar colors, whether it be another sort on the left navigation bar (see all blue fabric), or a link directly from a particular print (see all others with the hue/color in this partcular print by clicking on the color you like). Don't sort exclusively by color - it's really annoying when I can't find a whole collection. But having that be one option would be nice. I would also probably buy more fabric if there were blog-type posts about fabric selection that would help me create my own equivalent of the designer bundles you make. I love your web-site but that is not what you really want to hear. The ONLY thing I would change and I know it is hard to keep up, would be to remove the fabric when it is out of stock. You get ready to buy and then find it is gone. thank you for this chance. I agree that more FQ would be nice. Keep up the good work. I love your shop and the assortment you offer...I love how the fabric photos are in circles...and I love how easy it is to navigate and find what you're looking for! Custom FQ bundles would be a great thing to offer...or more mini FQ bundles! I love Fabricworm, my only suggestion would be to have the cart total at the top of the screen show in a different color its hard to see. Congratulations!! Congratulations on your anniversary! I have to confess that I didn't realize Birch Fabrics were your endeavor. They are gorgeous! I love the fat quarter bundles you offer, so keep those coming. 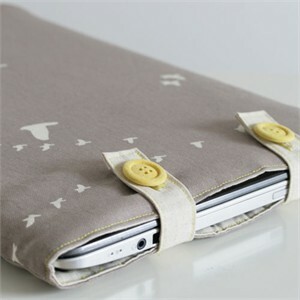 I would love more ways to browse the fabric, especially color and by print types. I'm often looking for a specific color to coordinate with something else and it would be great to just look through the blues or reds or whatever. Thanks! Congratulations on 2 years! Hmm... maybe linen or linen-blend solids in just the basics--white, cream, and taupe. Recently I've been eyeing Kei Kerchief Girl in red or turquoise but it's been out of stock for quite awhile. Will you be getting more? Maybe an update on this item's page would be helpful. Thanks for a chance to win! Oh my gosh, I am loving your fabrics and need to go shop (I will ignore my fabric diet for a splurge). 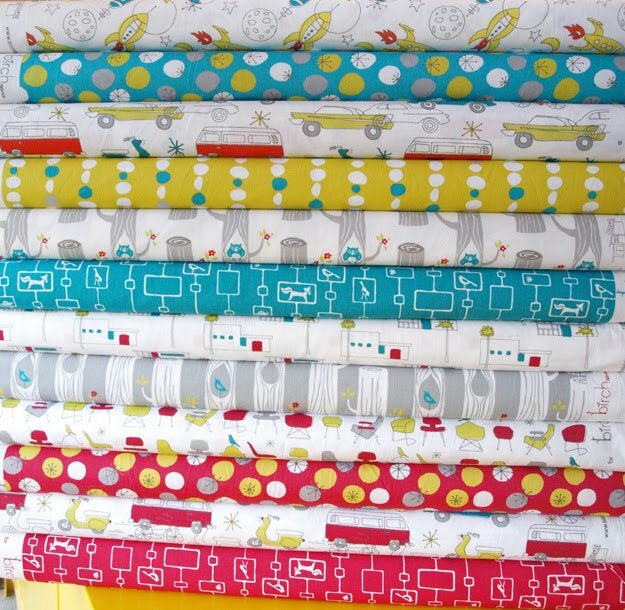 I would like to see some solids and basics mixed in with the other awesome fabric lines. Thanks so much for Lizzy House and Heather Ross fabrics and I am nuts for the Birch fabrics. I love the site, more fabric stacking would be a great idea and I like the idea of virtual layouts of fabric. Also, being able to search by category/theme for novelties would be helpful. I love your site and shop! I was SO happy to see that you are adding some FQ stacks - that would've been my first suggestion for the shop. As far as the site, I'd like to see an option to search fabrics by color. Thanks so much and Happy Anniv to Fabricworm! It would be great to be able to sort by colour. Also, a ruler or item for reference on the print size. I absolutely love your fabric bundles! You have such great taste and I look forward to seeing new ones every time I visit your site. My suggestions would be more solid color fabric and also larger pictures of the patterns. It is hard to tell the detail on the small pictures. I would like to see a scale measure for all of the pictured fabric. I think many of the prints are cute, but I have no idea what size they are in relation to other fabrics I might use them with or for clothes. Love your site and your selection, always fabulous! I love fabricworm, and I love the bundles that you co-ordinate and put together. Perhaps you could offer the same in FQ's? Happy anniversary. Please enter me into your giveaway. I like your fabric stacks and the Oh!Fransson! links. I prefer queen size quilts so would like to see fabric stacks with both patterns and solids that have enough fabric to make the larger quilt. A fabric stack with a free pattern included would be nice. I like modern fabric. Good prices are also important. I love your store,and you have a great site. I would love to see you sell charm packs, fat quarter packs in different sizes. Some large sets, but also some small sets. I'd like to see more fabric bundles - the possibilities are always inspiring, and maybe some more linens? Apart from that, I love everything! More Fat Quarters with the solid/print matches!!! LOVE LOVE LOVE the site:) Congrats on the two years!!! I love your selection of fabrics! My only disappointment has been when I see a bundle that I HAVE to have and I click on them... they're out of stock. :( Some small indication, maybe even in the title, that you're out would be great so I wouldn't get my hopes up too much. 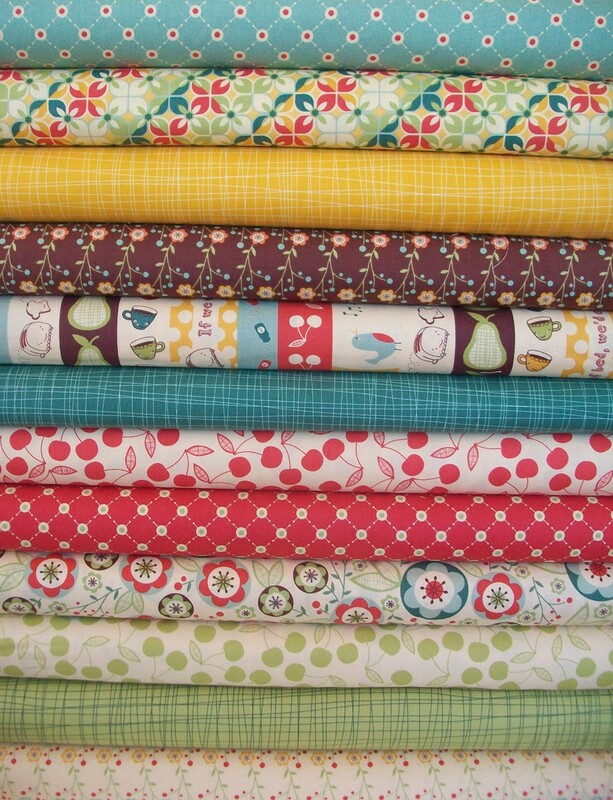 I would also love to see more smaller fat quarter and half yard bundles (6 or 4 fabrics). Thanks for the giveaway! Love your site! I often drool over fabric there! I especially love the bundles but I sometimes wish I could see a photo of each of the fabrics in them somehow. By the way I often link to you from my blogposts to share my fabulous finds. If you ever decided to have an affiliate program I'd be there! I have no clue. I just came across your site and am in love with the fabric! I'm a scrappy quilt maker, so fat quarter bundles are my favorite. 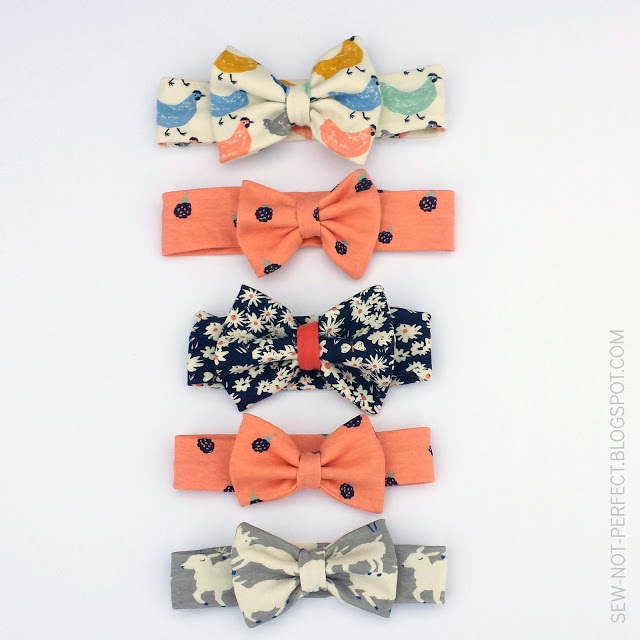 Your custom bundles are great, too, and the collaboration with Oh Fransson is a fabulous idea. Doing this with other designers might be a new idea. By the way, thanks for offering this giveaway! Love your blog and site! I love your site! I can't really think of any way you could improve it. It is easy to navigate, friendly, and the pages are inspirational. Keep up the great work! I checked out your site and it is incredible! The fabric swatches are big enough to see and everything is so well organized. You also have a huge selection. Your site is very easy to navigate compared to some. I love that there is a button to click on to go to the site. I love that when you open an area of the store - eg organic fabric - everything comes up on one page. The one thing I would sometimes like is to be able to see a bigger swatch of the fabric. Thanks for the great giveaway. I love the look of the site and the organization of the site. The only thing I've run into is that it can be disheartening to find a fabric or bundle and think "Yes!" only to then notice the "out of stock" label. Maybe just remove the out of stock options, or put them in a different category in case people want to browse them and request re-orders. I'd be tempted to switch up the design of your site, and move to something more custom, that allows more flexibility. It would be neat to have a gallery where people could post photos of things they've made with your lines, discussion etc. Congrats on the 2 years! - larger fabric swatches or a way to see scale or see more of the print. I'd also prefer a square swatch image, rather than the circle since you might as well use the corner area to show more of the fabric. - if an item is out of stock, remove its listing from the site. It ends up being a let down to see the swatch on the site and think it's in stock only to find out it is sold out. - if a designer or collection doesn't have any items for sale within that respective category then I think the designer or collection shouldn't be listed, if that makes sense. Again, it just ends up being a let down. 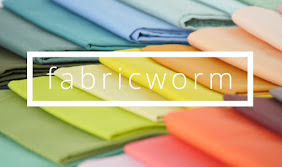 Fabricworm is always my first stop for fabric purchases. I love the bundles, and think even more fat quarter bundles would be great! LOVE your shope and LOVE this line! Fat quarter and pre-matched fabric stacks are what I always go for. 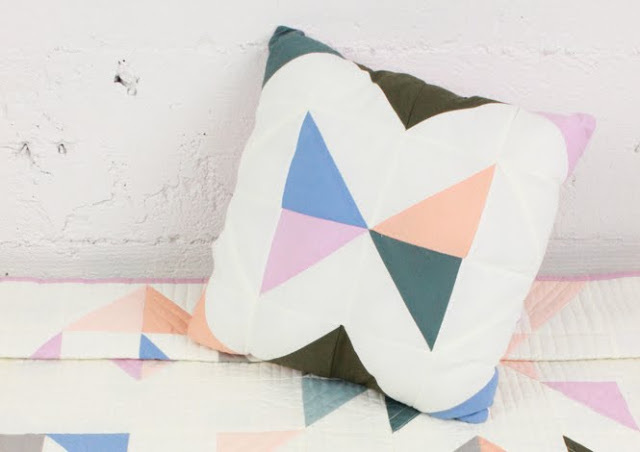 Maybe more combos with quilt patterns? I've beeen very pleased with ur website with 1 exception. You are often out of so many prints. It can be frustrating. It would make more sense that a fabric would drop from the list when you were out. Also what happened to flickr. There's still just the 1 pic you posted2 over 2 months ago and then nothing else. I'd love to see lots more. Also love the early bird! 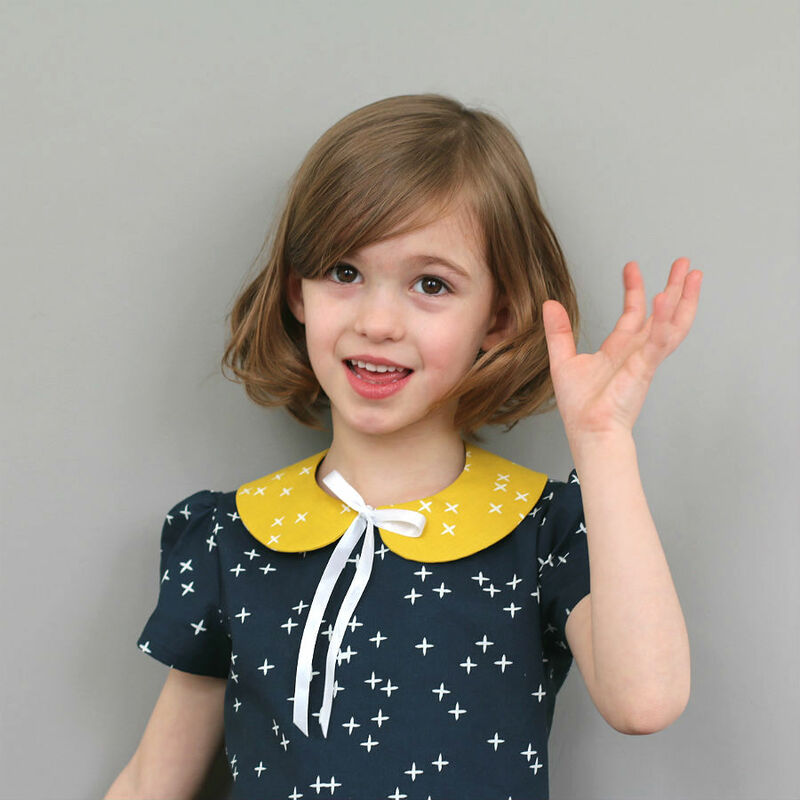 LOVE love Love the organic fabrics and the new upoming lines! The only improvement that I could see would be to offer a discount if u buy a bunch of fabrics, from the store or etsy! Thanks a bunch...love the shop! What a great give away,I love your fabric stacks. I would like to see more Japanese fabric and coordinates. I really enjoy your blog and do stop by frequently. My suggestion is to have some way to gauge the size of the various fabrics/lines, like a virtual ruler. Thank you! Some indicator of scale on the website would be excellent. I am often left guessing how large a print is and have to look at other fabric sites to check. I love your shop and find it is great done. A designwall would be great to see the fabric together. And I find your fabric stacks are so great so there could be more. Could we have some matching system of solids with prints etc to guide those of us who are novices. I love your fabric stacks, the more the better. And solids would be great, too. Congratulations on 2 years! I would love to see more coordinating yard bundles. Also, if a fabric is out of stock, it would be nice to know if/when it will be restocked. Thank you for the chance to win! I would love to see more FQ bundles, they are sooo pretty! And thanks a lot for this lovely giveaway! I would like to see more patterns and maybe books too. Your website is very user friendly and not cluttered. I like that! I will agree with pricing by the yard instead of half yard and maybe adding some rulers and templates at some point. Thanks for the chance to win and congratulations on your milestone! I was drooling this morning, looking through all the various pages on your site. I love your taste in fabrics! The only thing I could see to improve is on the "Fabric by Collection" page, it would be helpful if it were in alphabetical order. Congrats on your anniversary and thanks for the great giveaway! I would like to see fabric stacks and FQ bundles that combined specific prints from a collection. Usually they are sold by colorway, but often I really like a certain print and want it in all colorways, rather than with the other prints in one colorway. This is especially true for the blenders and smaller prints, that make such good mixing fabrics. I'm fairly new to your site, but looooove your choice in fabrics. 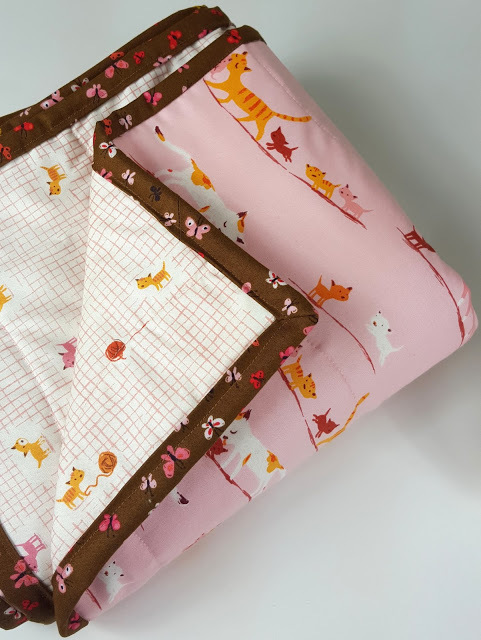 Keep making the bundles because it is really helpful, as I spend way too many hours in the fabric stores attempting to create something close to your beautiful fabric stacks! Congrats on 2 years and thank you for the giveaway opportunity! 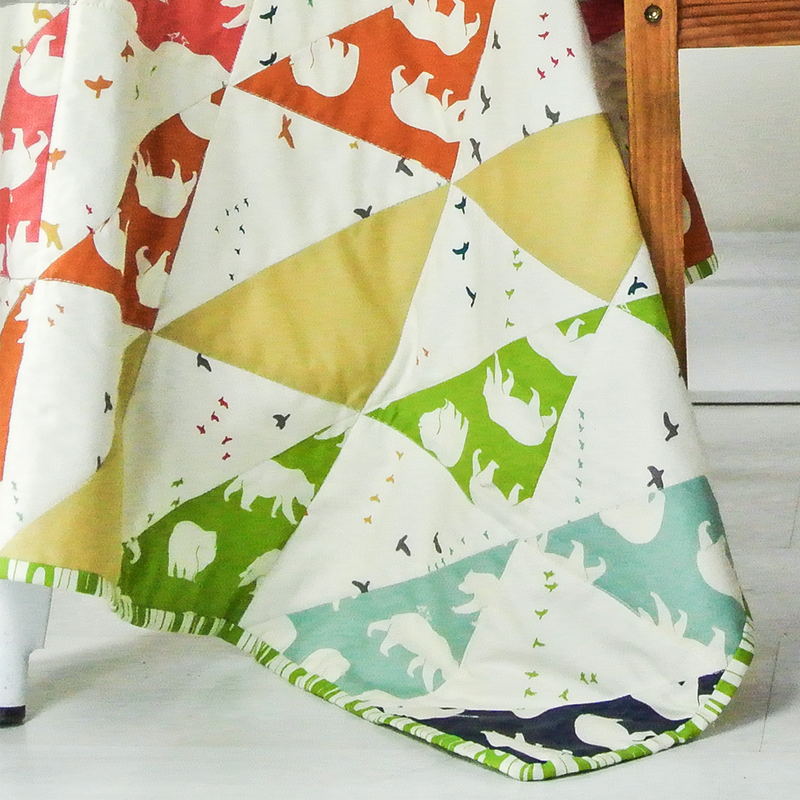 I would love to see more fat quarters and a way to see if fabrics coordinate, if possible. Very nice site of your shop. I love all the fabrics. You can never get the same assortiment in italian shops. This is one of my favourite shops. The only thing i would change is the out of stock. Often I click on something that interests me only to find it's out of stock. It needs to be much more noticeable. I'd like to see a View All in the patterns section. I don't always know each of the designers, and would like to brows all of the patterns available. I also like the idea of having an example of fabric next to each designers name in the fabric by designer. 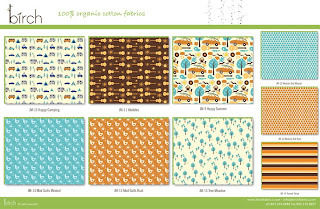 I would like to see a view all in the patterns section and it would be nice to feature some of your newest fabrics on the front page, and some sale fabrics on the front page (like fatquartershop.com does). I love reading your blog, and I'm excited that you've been in business for 2 years. Congrats! I love your site and your selection of fabrics. I would suggest showing more of the fabric or with a ruler or something to give perspective. I like how www.fabrictales does this by giving 2 pictures. The fabric bundles are the best! 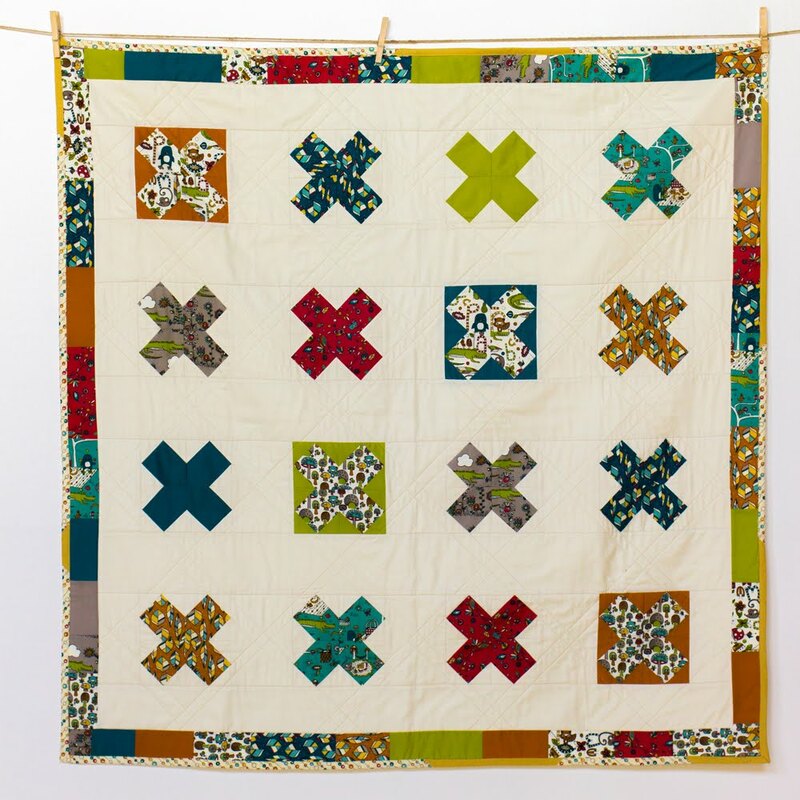 Perhaps more "guest" bundles from popular quilting blogs like the Oh Fransson ones. They always sell out so quickly!and are so unique to your site. Good Luck and congrats on the anniversary. So many people said what I was going to say! More solids and some kind of color search/matching/suggestion tool. Love the site! I would really like it if your inventory and prices were up to date on both your etsy and .com site. Also, if you take uniform pictures of everything (with a ruler or a coin), that would be useful. Sometimes you can't trust one shade of green to perfectly match a different shade of green. 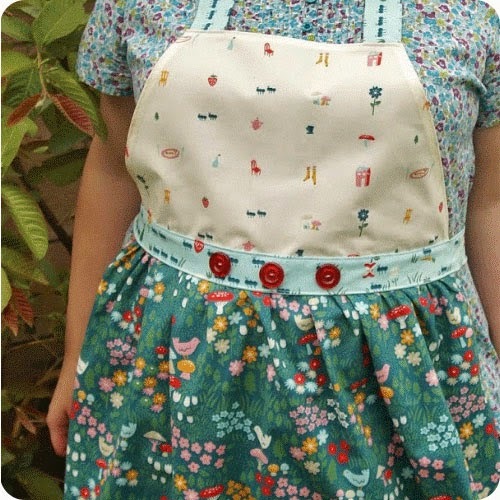 I love the circle swatches of fabric, but there are times I see a fabric I don't recognize and I don't know the scale of the print- Something in the pic for size reference or something in the description would be great! I love your site, such great selection! I'd love to see more fabric "categories". You currently have solid fabrics, but it would be great if there were options for things like "polka dots" or "stripes". I usually buy fabric by collection, but sometimes I would like to see how multiple collections would look together. While this is easy to do in a store, I don't ever feel like I am really "seeing" the fabric online. So, my suggestion is: more fabric bundles with mixes of different collections. I would love it if you would carry thread and especially organic thread. I have a hard time finding organic thread and trims. I love what you do carry! I would love to see some kind of digital wall where I could see how fabrics work together within one another. That would be delightful. I love your site. I think I'd like to order the fabric sets together as yards, as well as fat quarters though! 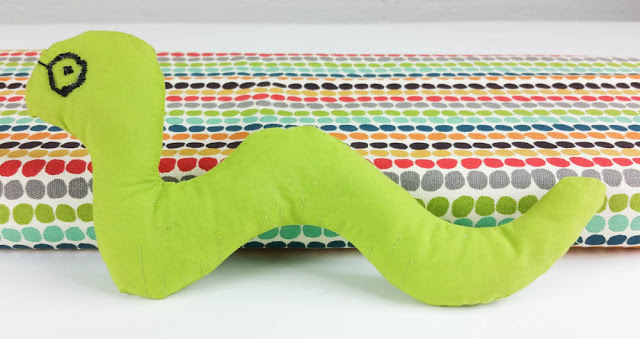 I love Fabric Worm! I would really like to be able to order more yard and half yard bundles since I make a lot of clothes for my two year old girl. Thanks! I would like an option to see a swatch of the fabric that is not a circle. The circle is cute, but for some of the fabrics it doesn't show enough of the repeat to get a feel for the overall fabric. I think your site is easier to navigate than most where I easily get visual fatigue. Your fabric collections are great. I'd love some solids in them to bulk them up and keep the price low. Thanks and I hope I win! I'm loving all your patterns & fabrics! More fabric stacks. I always like to see what fabric combinations look like. Hi I love the ease which you can continuously scroll through the fabrics without waiting for pages to load..but prices by the yard would be easier to work from and perhaps a "complimentary fabric suggestion" for some of the patterns with solids or filler fabrics, not from the same line but from others that would work together in person.. not distorted by screen colours? does that make sense?? i love the selections and the quality of service. my only suggestion is some of the fabrics when you click on them are not avaiable, it would be good if they are not in the same section as the ones that are available. The site is pretty easy to use. I like other's ideas for more fat quarter bundles. My only real input has already been solved! (knowing a fabric is out of stock before clicking on it). I think it would be nice to be able to purchase amounts smaller than a half yard or more fat quarter packs. Other than that I love your site! I've shopped from the etsy store mostly but love what you have! Fat quarters would be fun, I always find something to do with them. I was so pleasantly surprised by all of the great fabric you have and the prices:) I really do love the site. One thing I know is important to me is a permanent shopping cart and an account, so that you have my info. when I go to buy. That's all. Hope this helps. I have only recently discovered your site through Oh Fransson! I am SO pleased with what I have ordered thus far and anxiously await the order which I know is coming my way. I would love to see complimentary solid bundles for the monthly Oh Fransson bundles. Even if it's just 6 fq's which coordinate, it would be great, especially in my neck of the woods where great mod and organic fabrics are nearly impossible to find. Congratulations on your 2nd anniversary! Castle Peeps by Lizzy House is in the House!